Yes, it’s another old Honda! 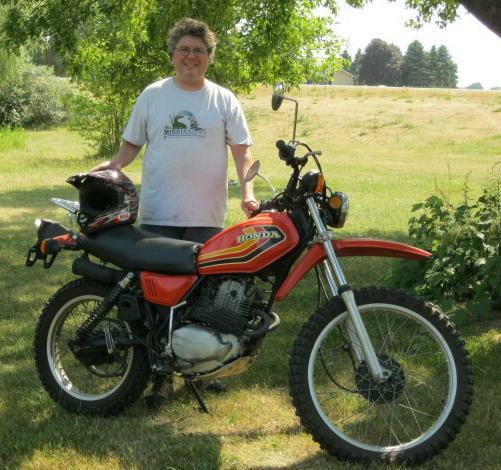 This one is a 1978 XL250S. It has just short of 2400 miles indicated that I’m told are original and from the looks of the bike I believe it. It’s in outstanding condition. It starts on the first kick and runs great. It’s all there including a clean title plus we got a bunch of spares with it. A couple of years ago I got my Dad’s old Weber Smokey Mountain smoker from him. It was a Father’s Day gift for him many years ago. He used it to smoke a lot of salmon from Lake Michigan through the ’70’s and ’80’s but hasn’t used it in quite awhile. It’s been sitting unused in his garage and I wanted to experiment with smoking some meat though not fish as I’ve had a lifetime’s worth of smoked salmon. 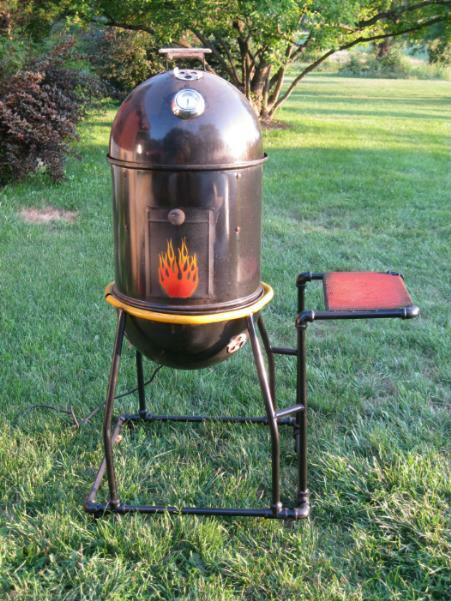 While the WSM design has been around for a long time and it has served well as a good smoker an obvious flaw is that it sits low to the ground, is hard to move around without taking it apart, and has no place to set anything while your tending to it. 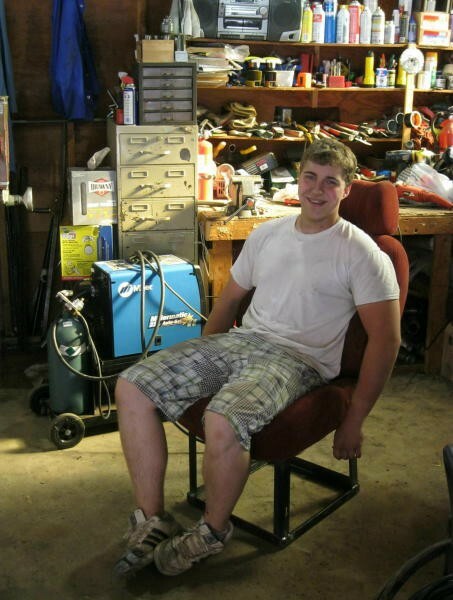 We solved all of these problems by taking some 3/4″ rigid conduit and welding up a wheeled cart that gets it up off the ground a bit and has a side shelf to set tools or trays of meat. The most interesting part of the project was getting a chance to work with tube and to work out how to cut what are called “birdsmouths” for the joints. We had some ideas about how to do it but after speaking with a friend he pointed me at this tool, the JD2 Notchmaster Hole Saw Tube Notcher. What an obvious way to make the necessary cuts for the joints. Use a hole saw. We haven’t purchased a JD2 (yet) so we used a hole saw on our mill. It worked perfectly. We can’t quite get all the angles we might need for some projects but it worked for the purposes of the smoker cart project. Another cool tool for working with tube joints is this: PipeMaster. And yes, that’s a flame on the door ala frisket and rattle cans. I figured that it needed a bit of flair to set it apart from all the other WSM’s on the planet. I also added an official Weber thermometer that I found at a local hardware store. It was a replacement part for a newer model. The original did not have one. Upon completion of the project we tested it out smoking a nine pound pork shoulder for 16 hours. It turned out great. Just the beginning of our smoking adventures.